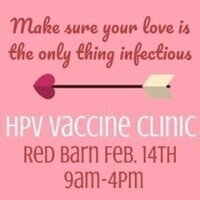 This Valentine's Day, make sure your love is the only thing infectious! Campus Health Services is offering an HPV Vaccination clinic. Bring your ID and your insurance card.